This has been quite a week. I don’t always function well when schedules are constantly changing, but I didn’t have much choice. We had trips, events, and all kinds of things going on, so we did our best to rise to all the occasions and get it done. I had to make up Saturday’s missed long run. And in doing so, earned my Pugasus 10K medal. When I got home and showered, Mr PugRunner wanted to go to the sporting goods store to find a new tent. The one we currently have is pretty huge and he is unable to put it up on his own. I was game for finding something with which they would be more comfortable, so off we went. Of course, I wanted all the food first, but after that, I was on board to help them. We ended up with a great four-man tent. We all practiced putting it up (after all, I’m going to be using it for Ragnar), and it was compact, easy, and a decent size for a quick camping trip. I got done with my body circuit class and took a shopping list out and about to help Mr PugRunner pick up supplies for the weekend. When little man got home from school, he did his homework outside with his friends and then we headed out to karate. Mondays are always long days, and I am glad to be done with them. My coaches were kind enough to bump me down to 800m repeats from 1600m. It’s been a bit of a relief, to be honest. I do much better that way. I had one big plan for the day: to get my hair done. I haven’t had a cut or color touch up since some time in June (when, embarrassingly enough, Mr PugRunner made the appointment for me), and I had a really big day on Wednesday. I hate to call it a “hair emergency” but it was straggly with dead ends and lots of gray showing through. I was able to squeeze in an appointment and had a wonderful experience! Wednesday. The day I was finally going to be able to breathe! 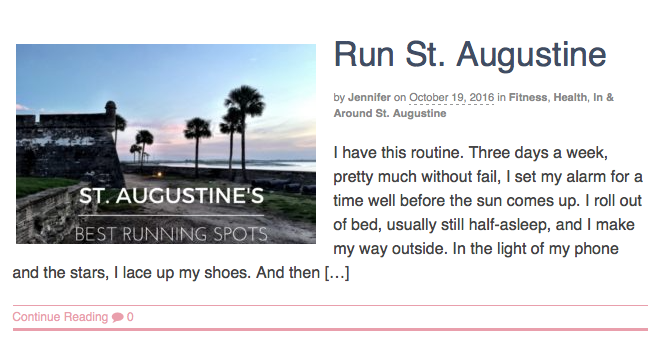 First, my running piece was published on the St. Augustine Moms Blog. It’s always fun to see that. 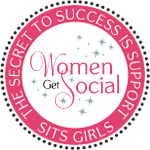 But, the big news is that I was invited in to Jacksonville BUZZ for a youtube interview about the blog! Usually, in the mornings, I throw on my running clothes and put my hair in a pony tail. But not today! I felt so official with my Salted Caramel Latte. I had a great time on the set, even though I was WAY out of my comfort zone. You can check out the spot here. You’ll be hearing more about Jacksonville BUZZ going forward – I’m excited to be working with them more in the future! Thursday morning was an easy run, and I was glad to have some cooler temperatures. It made things much easier. I had work in the afternoon, while the boys did Cub Scouts. I drove home to the most stunning sunset. I spent the morning catching up on Halloween decorating and tidying up. My parents came over to bid the guys farewell and we ended up going out to dinner. I turned in early, because I’m a party animal like that. The guys checked in later in the evening and everything was going great. Because s’mores. I hit the ground running. Literally. I was supposed to do 11 miles, but I called it at 10.1. I ran out of time and I had some pretty nasty blisters on the backs of both ankles from wearing “real” shoes on Wednesday. I just couldn’t handle it anymore. I was a little mad and disappointed, but I was also bleeding, so I let it go. It happens. Next up? A trip to the grocery store for ice and eggs for the guys, and then over an hour drive to the Boy Scouts campground. Wheee! But we had such a lovely afternoon. Before I got there, little man had learned how to shoot both a BB gun and a bow and arrow (and he hit a bullseye!). We had lunch and they showed me around their campsite. Then we took a nice hike to the lake and enjoyed some of the trails (that’s how I made up for the .9 miles I missed earlier – 2.5 miles of navigating tree roots and branches). It was time for me to say goodbye – I had to get back home for a going away dinner for two of my coworkers. We are going to miss them, but we are thrilled for the new opportunities they will have. Best of luck, guys! And there it is! Another week complete! Oh, and one more bit of exciting news? 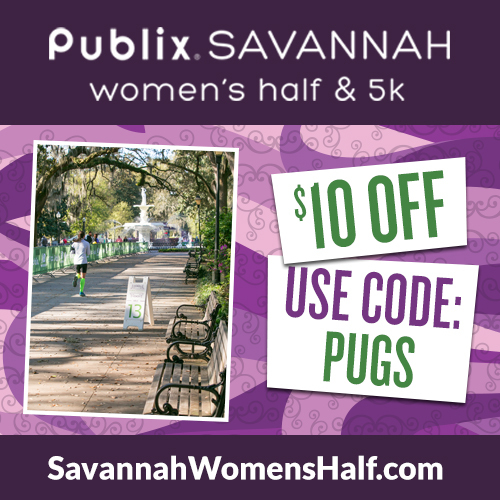 I’ll be back in Savannah as an Ambassador for the Publix Savannah Women’s Half and 5K on April 8, 2017! I am thrilled because I have a score to settle there. An injury forced me to fall back to the 5K and I want my redemption! Save $10 off either distance with my code PUGS, and join me and my fellow Ambassadors for a great race in one of my favorite cities. Are you good about getting your hair done, or do you forget, like me? * I am an Ambassador for the Publix Savannah Women’s Half & 5K. I will receive a complimentary race registration, as well as other sponsor benefits for my promotion of the event. All opinions are my own. Hurray for stepping out of your comfort zone! Looks like a fun experience. And your hair looks beautiful! 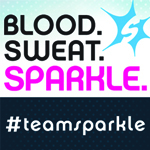 Debbie recently posted…Tram Road Challenge Recap and Anniversary Run! Thank you! It was really scary being on camera, but I hope I did ok.
Looks like a great week… love the hair! And your new tent is really nice. You gotta have an easy one but it looks roomy too. It might be a little too small for the three of us, but I found another tent (actually, one of the other dads had it) that might accommodate all of us if need be. We are so new to this camping thing! Wow, what a fantastic week! Love the medal! Congrats on the article and the interview. I”m good about getting my color–I”m so gray that I preschedule for every 4 weeks–but I tend to let my cut go. I did get my hair cut last week. That’s why my hair looks so nice in the pix on my blog. You know it’s bad when everyone comments on your haircut. oops. I have done the preschedule, but then something always comes up and I have to postpone. Or I figure the color looks ok, and who’s looking at the cut if I just put it up in a ponytail or a messy bun, and then four months have passed. Sigh. Wow looks like a full week! I think your hair looks great I am overdue for some color myself. It was definitely a full week. Thanks! I am really happy with the color. I don’t even know what my natural color is anymore. It’s one of those colors that can look blond or red or light brown, depending on the light and the way I have it styled. I prefer to keep it dark, though, even if it does mean my grays show more. Sigh. First of all, that Pugasus medal is the best thing ever. Second, you should get another medal for all that awesome media coverage and being a race ambassador. Congrats!! 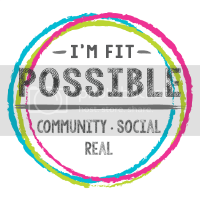 Nicole @ Fitful Focus recently posted…Big Announcement! Thank you so much! It’s nice seeing some of my hard work manifest into more opportunities. I don’t go THAT long without a cut, but I tend to let it go. It really shows in my bangs, otherwise you’d never know. But the bangs get all funky. Someday I really do have to learn how to straighten them — I’ve tried in the past but never really got the hang of it. S’mores definitely make things better. I would probably never worry about the 10 vs 11 miles. That half in Savannah really has been on my radar . . . so many races, so little time. I’ve never been to GA! Only driven through it. I think we slept in a hotel there one night, but I don’t really count that. Fortunately, I don’t do anything but long layers, so it’s not THAT noticeable, but it can get ratty. I need to be better about it. I know, theoretically 10 vs 11 is no big deal, but I’ve been meticulous about my training and I hate when I “fail” at it. So many fabulous things in this post! I mean Pugasus is number one obviously! But congrats on being Youtube famous too! My brother is a big Youtuber, he does tech reviews and has something like 100,000 followers. Crazy. I prefer to stick with text myself… video freaks me out a little. LOVE the new ‘do too! I’m desperate for an appointment. Now that Badger is heading South for the winter, my Saturdays will open up a bit. Hopefully I can get my age hidden under a lovely color too! And lastly, so very impressed with all of your mileage of late. I ran once a couple weeks ago… baby steps? I am pretty terrified of YouTube (and Periscope and Snapchat and Instagram stories). I feel so awkward and ridiculous. I like to say I have a face for radio, and I’m really not joking. But it’s ok to break out of the comfort zone from time to time. I feel like I could be running a little more but I am sticking with my training plan and not stressing it. You will get back there! That is so awesome about your interview!!! You did great. I really hope to do things like that, too. Even though it’s scary! Michelle Rogers recently posted…The must-have safety item you NEED if you run, walk or cycle! Thank you! It was a great opportunity that found me and I am excited to see where it leads! Congrats on all your exciting bloggin stuff-the interview, your piece in St. Augustine moms blog, Savannah ambassador!!!!! How cool that you were interviewed for the Buzz! That must have been such a fun experience! It was pretty cool! It’s a great group and I’m looking forward to lots of fabulous times with them! 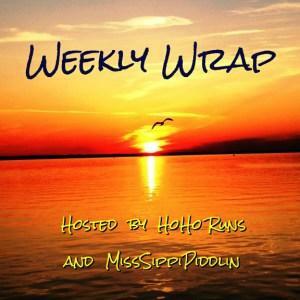 Mary Beth Jackson recently posted…Week 3 and I am ZOOMA ready! It would be awesome to see you in Savannah! [peer pressure voice] Do it! Do it! Um, that pug medal is amazing. Cool tent! I am awful about getting my hair done. I haven’t had a haircut since April! Isn’t it? Ok, now I don’t feel so bad! You’re on my schedule!